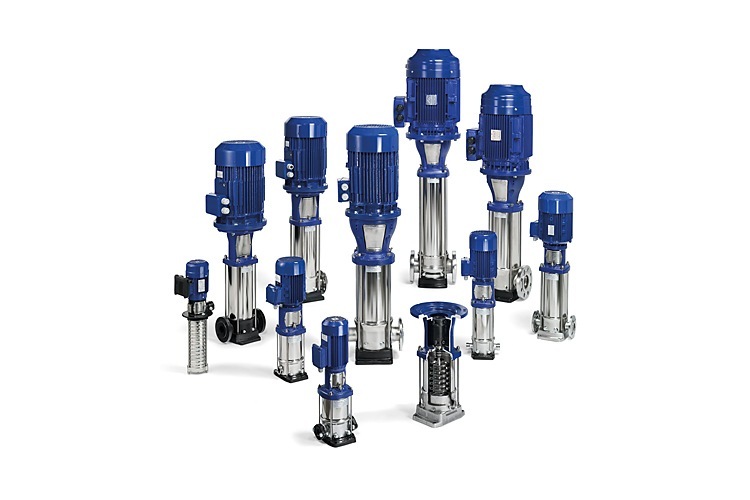 For decades, customers have trusted the innovative DPV stainless steel multi-stage centrifugal pumps series in diverse applications for the transportation of their process water. Energy efficient through smart hydraulic design; reliable through the use of high-quality materials and manufacturing; and versatile due to the unique modular concept that offers an almost infinite number of variations in materials, seals, connectors, motors, etc. The pumps in the range can be used stand-alone pump for the supply of water to fire extinguishing systems or be assembled into a Fire-Unit with multiple pumps. The complete design of this pump series, as well as the tools used to make them, are designed and manufactured in the Netherlands. 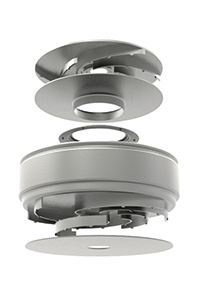 This results in a particularly energy-efficient design that achieves some of the highest scores in the market. The most recent addition to the DPV 125 product range even achieves the highest efficiency in its class. efficient fluid flow-through specially designed pump base and head piece for high energy efficiency and long life. 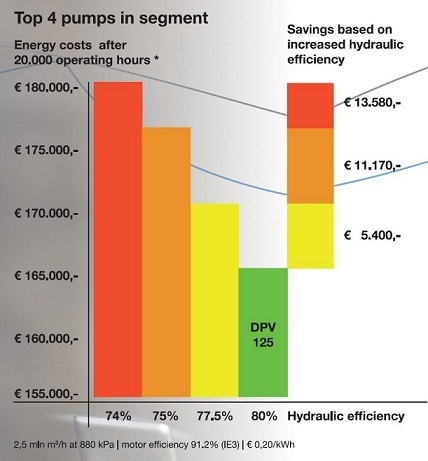 Duijvelaar Pumps introduces the DPV 125. 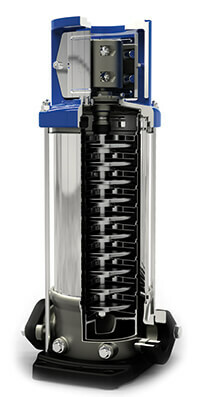 Our most advanced vertical multi-stage centrifugal pump for transporting large volumes of drinking and process water. 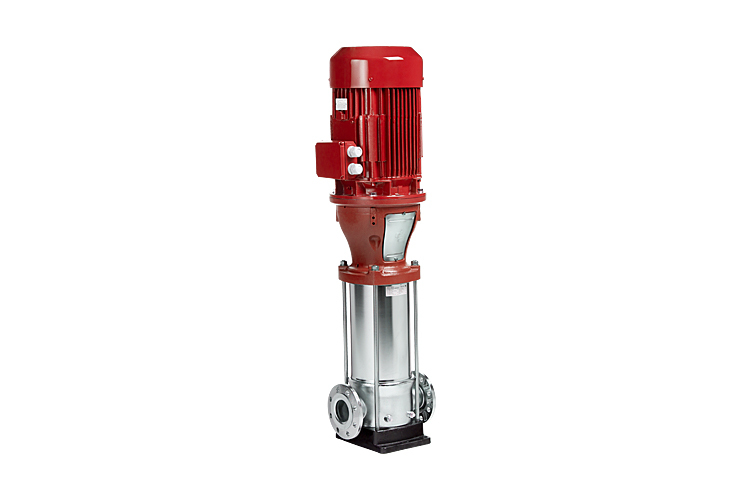 It is perfect for the increasing demand for a robust, compact and efficient pump with larger capacity (nominal capacity at maximum efficiency: 125 m3/h). Applications include, for example, water transportation, drinking water and fire-extinguishing systems, boiler feed, district heating, or cleaning and washing facilities.The DPI 125 is not only the most energy-efficient pump in the segment, but also flexible due its compact size, and durable due to its quality materials and construction techniques. Advanced, highly accurate and reliable production methods using robotics, laser welding and projection welding techniques. 60 years experience in the maintenance and production of pumps have led to an optimised pump design that is very easy to maintain. Easily accessible for servicing, often without the need to disassemble the pump or motor, or any special tools. Hydraulic (multiple steps/diameters) and motor (power/rpm) match the application exactly. Wide variety of pump bases, connections and seals. 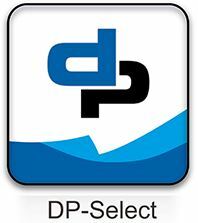 Using the pump selection program, you can easily select the right type of pump for the application. The program is available for free as an app, or as software in our download centre.